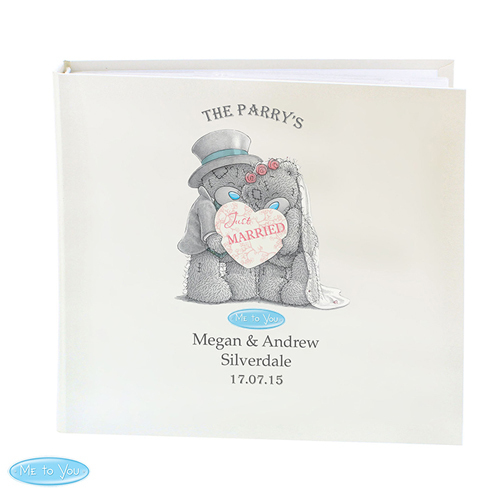 Personalise this Me To You Wedding Album with a couples name up to 30 characters long. You can then add a message over 3 lines of text up to 25 characters per line. The names and the last line will appear in UPPERCASE. All other personalisation is case sensitive and will appear as entered. Personalise with a couples name up to 30 characters long. You can then add a message over 3 lines of text up to 25 characters per line.